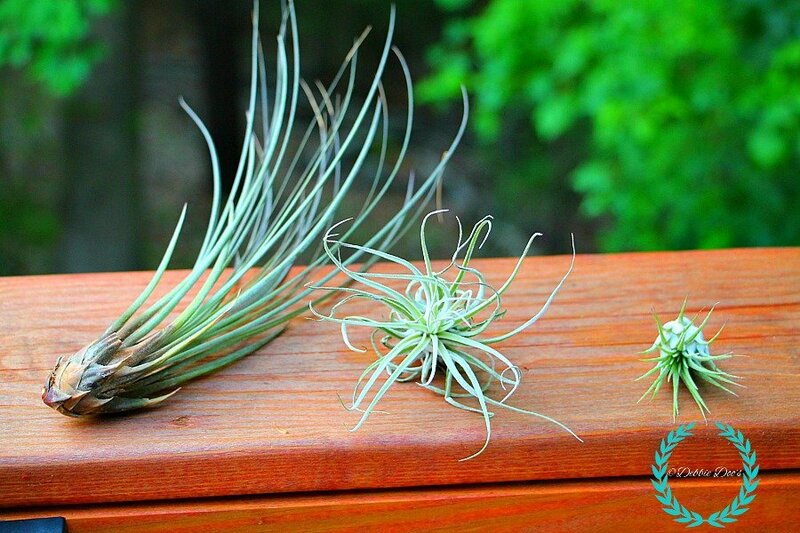 Air plants are pretty much a no brainer. Let me fill you in. In fact, this may be my kind of plant! Tillandsia aka Tillys, Air Plant or Airplant. Tillandsias grow differently than most other house plants, so they can be confusing to the beginner. They are really very hardy, and require much less attention than other house plants. Yahooo! for me. My friend actually gave me these plants. She had some extra’s and thought I would enjoy them. Actually, I just think she knows I am a plant killer and hoping for a miracle of actually keeping something alive. Give them bright, filtered light and provide them a home that is not too dry. 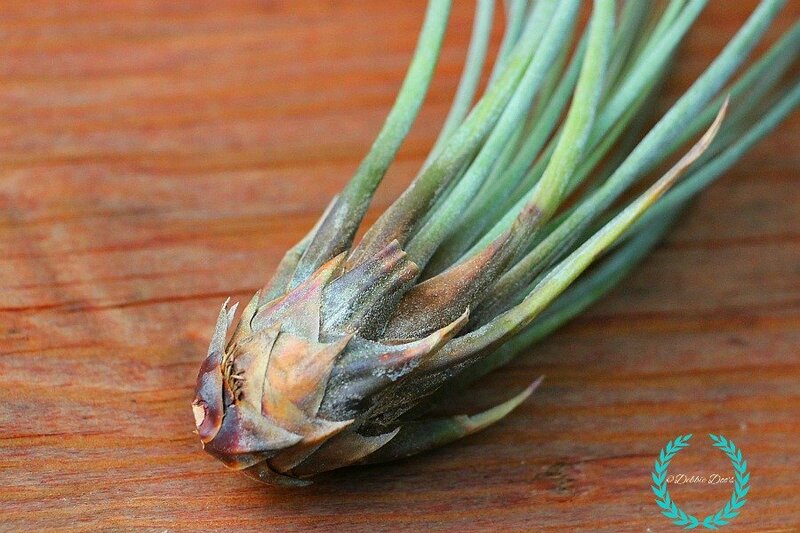 Air plants can survive with misting them with water and an occasional bath. Submerge the plant in water for 2-3 hours about every two weeks. I can do that! Will keep you updated on the status of them in a month or so. If you like Mason jars..I have plenty more ideas for you Here! You can also check out my Diy gallery of crafts and decor. My mom always had these hanging on her fridge inside see shells, I had no idea they needed to be watered. I’ll have to ask her about heres. They sure are cute plants. 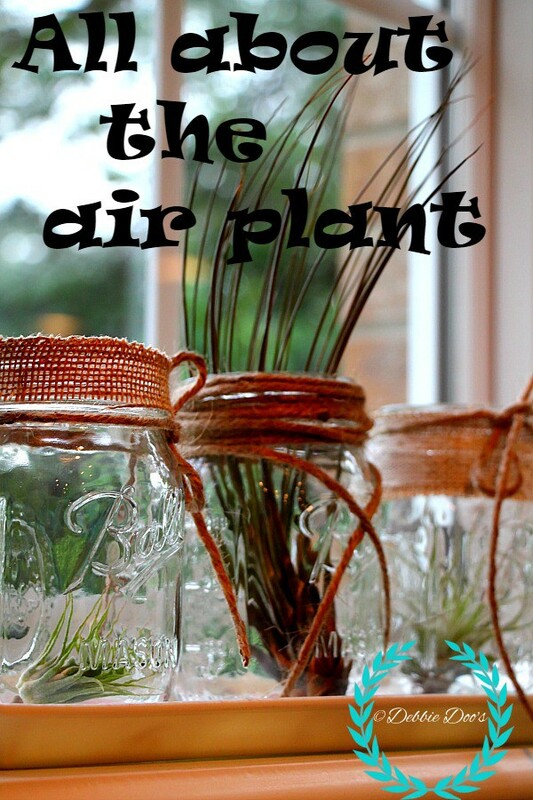 I had never heard of air plants (and I have been around for a while). These look so pretty in the mason jars. I am obsessed with them. Your view outside looks pretty too! 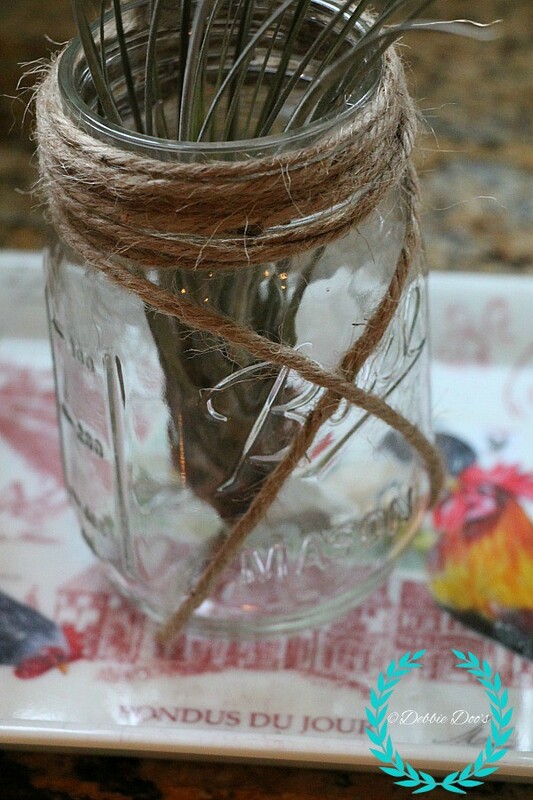 I love the jars with burlap accents! How fun to see what happens! Cool, I have never heard of these before. Love the burlap and Mason jars! Congrats on the graduates also! Tall boys! 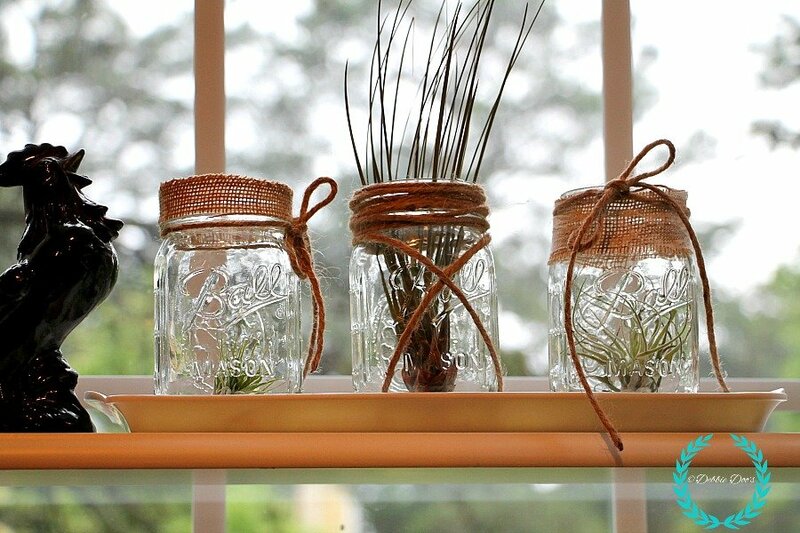 Love the mason jars filled with the air plants! I brought them home every summer from Florida when I was younger…they were inside a shell with a magnet for the fridge.